After a devastating past year, humanitarian tragedies show no signs of slowing down in their breadth and impact, which is why relief logisticians need to ensure support is on hand at a moment’s notice. And when it comes to fast, reliable aid delivery, the aviation sector is the first point of call. In a speech to the Security Council in March last year, then United Nations (UN) emergency relief coordinator Stephen O’Brien warned that the world was facing the largest humanitarian crisis since the creation of the UN. 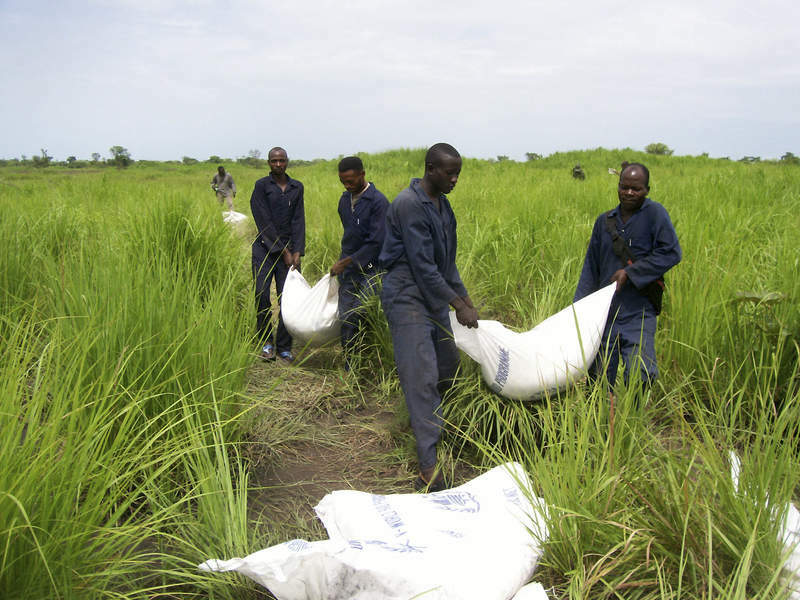 Food insecurity and famine, armed conflict and terrorist threats, as well as ravaging disease and natural disasters have been some of the biggest triggers that left an estimated 164 million people in 47 countries in need of international humanitarian assistance in 2016, according to findings from independent organisation Development Initiatives (DI). Over the course of this year, the Global Humanitarian Overview predicts that more than 135 million people will need humanitarian assistance and protection. 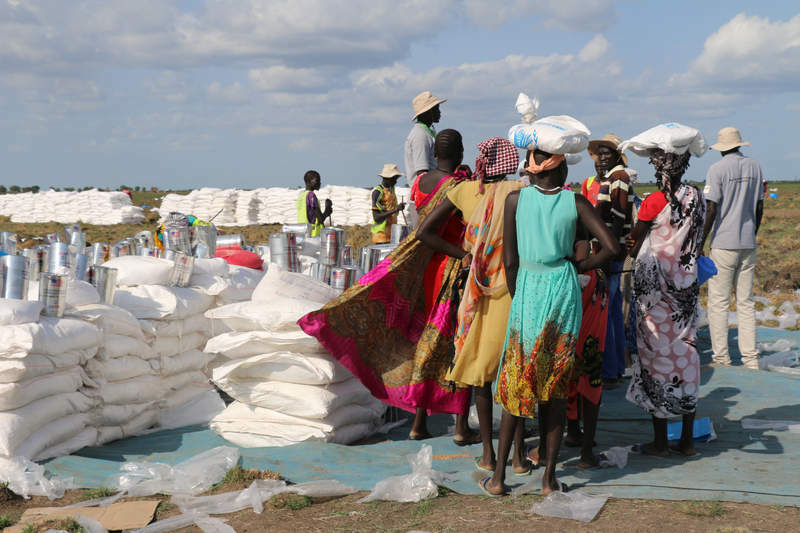 The provision of relief in a fast, secure and cost-effective manner is the product of painstaking global cooperation between aid agencies and organisations, and perfecting humanitarian response plans is a work in progress. At the core of it all is the aviation industry, which plays a pivotal role in the delivery of food, medical supplies or shelter materials. Air services are particularly essential in situations when crumbling infrastructure or ongoing conflict effectively cuts off ground access to entire regions. 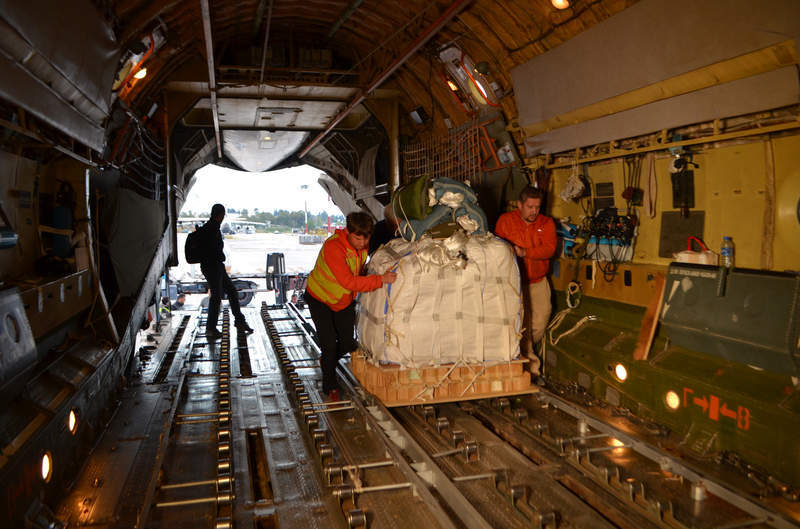 “Air cargo capacity is critical to moving supplies very quickly,” says Humanitarian Logistics Association (HLA) chief executive George Fenton. In his 30 years working within the humanitarian and development sectors, Fenton has founded several inter-agency groups and forums aimed at improving dialogue and collaboration between stakeholders in the aid sector. His latest enterprise is the HLA, a membership association created in 2009 whose members have helped in 3,000 emergencies over the past decade, impacting the lives of an estimated one million people. For many international crises unfolding today, there is no end in sight. Throughout 2018, an estimated $22.5bn worth of supplies will be required and their delivery will, in one form or another, be made possible by the aviation sector. 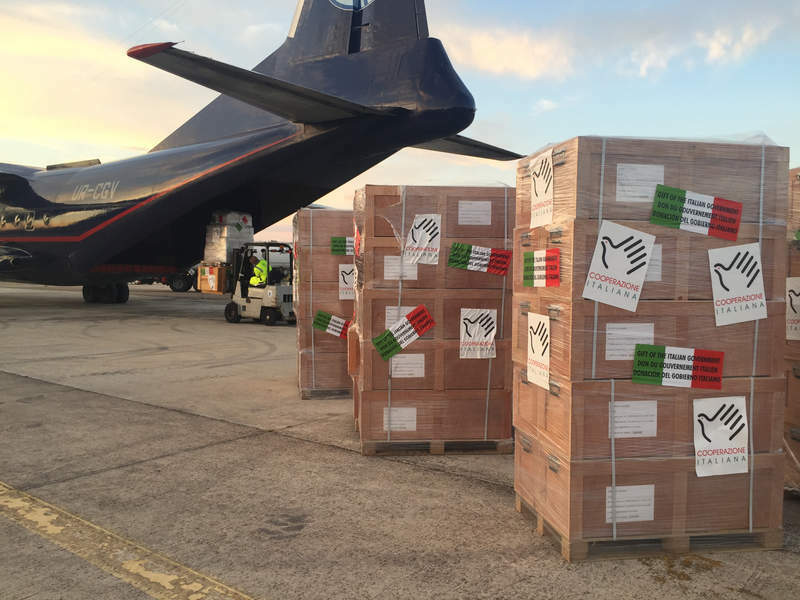 “The primary role that aviation plays in humanitarian emergency response is moving supplies very quickly from hubs where there are pre-positioned supplies of goods, such as Dubai, Panama or West Africa, where nations, together with partners and non-governmental organisations stockpile largely shelter items,” Fenton says. At present, the world’s leading humanitarian airline is the United Nations Humanitarian Air Service (UNHAS), managed by the World Food Programme (WFP). Operating more than 70 chartered aircraft, UNHAS serves over 300 regular destinations in 19 countries. Many of UNHAS’s interventions throughout 2017 were carried out in South Sudan, where a decades-old humanitarian crisis is unfolding. Fenton describes this as one of the “forgotten emergencies” due to scarce media coverage. Today, seven million people are identified as needing assistance across the country. Here, the WFP conducts huge airdrop operations above Protection of Civilians camps, such as Bentiu in the northwest of South Sudan. By operating eight aircraft carrying about 30 tons each, they drop approximately 10 tons of food at a time just outside the camp, every day, as part of an operation that costs $1bn a year. But despite the fact that airdrops are a well-known type of intervention, they are rare and only used as a last resort, due to the huge costs involved. A more standard procedure will see airports in countries most prone to natural disasters undergo preparedness and capability training under the Getting Airports Ready for Disaster programme, jointly run by the United Nations Development Programme (UNDP) and Germany’s Deutsche Post DHL Group. This means that when the worst happens, airports and their staff are ready to become points of contact for rescuers and relief supplies, cargo deliveries and refugee transfers. Another initiative that aims to strengthen coordination across sectors is Airlink, started in 2010 by the International Society of Transport Aircraft Trading Foundation. Airlink operates under the premise that “disaster response is not a time for amateurs” and as such, brings together more than 35 commercial and charter airlines and more than 80 international non-profits, including major partners such as Boeing, the Clinton Global Initiative, and the Paul G. Allen Family Foundation, as a way to make “the response more efficient and effective”. However, when it comes to communication between sectors, barriers still remain. In October last year, HLA announced a partnership with Neutral Air Partner, which has joined the association as one of its first corporate members. Recently founded in Hong Kong, Neutral Air Partner brings together 90 like-minded air cargo specialists from 85 countries, making it one of the largest air cargo providers worldwide, in terms of tonnage and revenue. 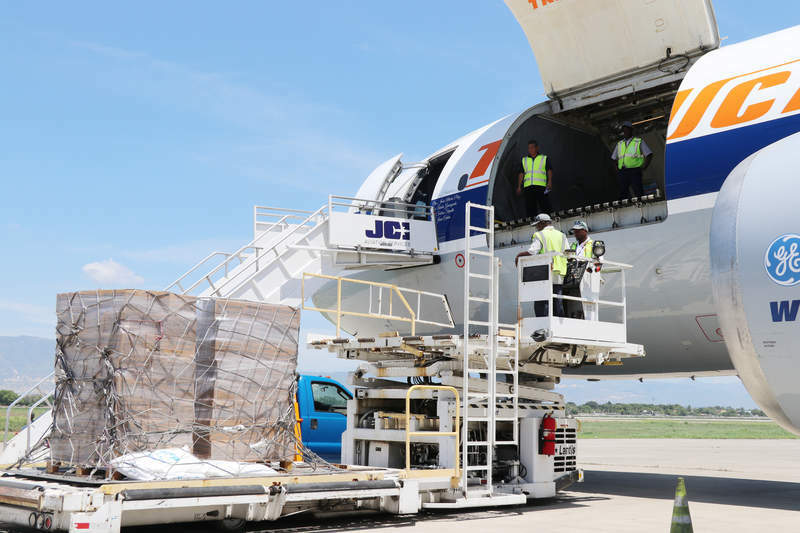 A second partnership, unveiled in February, brought on board Volga-Dnepr Group, which operates a combined fleet of 41 specialist cargo aircraft across the globe. “One of the reasons that we’ve decided to open up our membership to corporate partners is so that we can develop this mutual exchange of information that needs to be flowing both ways between the private, public and the aid sector,” Fenton says. While speed of delivery, efficiency and cost-effectiveness are all critical factors, in the end organisations such as HLA strive to build something even more robust: a network of assistance that enables local actors to build their own capabilities to respond in an ethical, transparent and accountable manner. “We are looking for ways to promote the next steps for the HLA and the creation of an international industry practice of professional logisticians so any support and information that people are interested to find about us is much welcomed,” Fenton says.